Got a specific, vintage-style home decor piece in mind? Head to Wood & Watt in Kalyan Nagar and find a custom-made piece to perfectly match your work and living spaces. Are you a serial Pinterest-er who always pins home decor ideas (and eventually forgets about them)? If you nodded yes, you will love Wood & Watt, a store in Kalyan Nagar that will bring all your ideas to life with custom, one-of-a-kind pieces for all the nooks and corners of your home or workspace. Created by interior designers Sumanth Adithya, Bagawati Adithya and Zaheer Ahamed, the store features beautiful rustic and vintage-looking furniture that has an old world charm to it. Some of our favourite finds were French-style chopping boards, writable chalkboard lockers (perfect for writing 'Don't touch my sandwich! 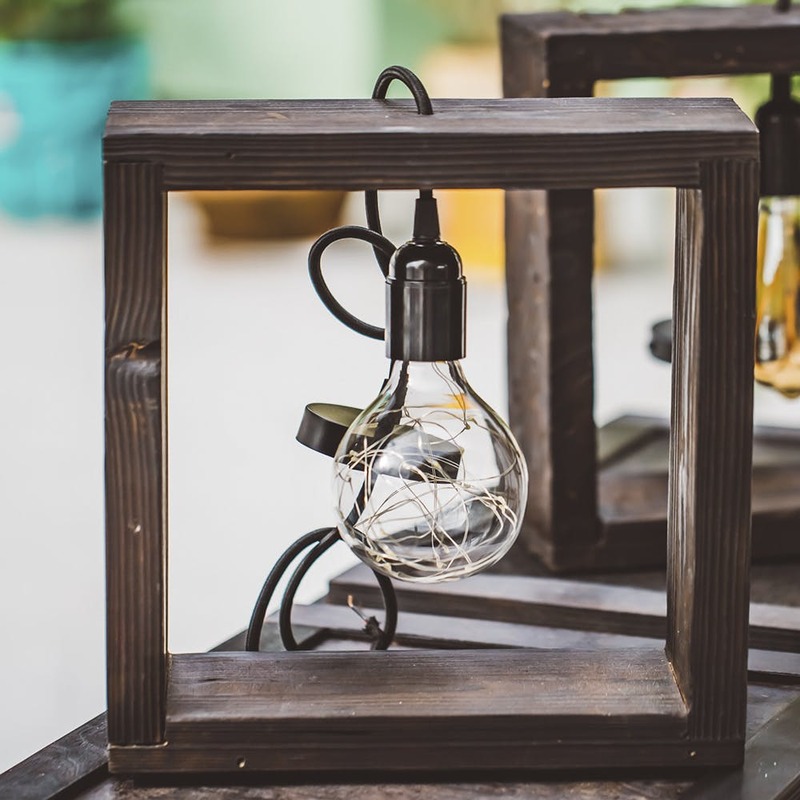 '), minimalistic industrial-inspired lightbulbs and vintage industrial serving carts. Prices start from INR 500 and can go up to as much as INR 25,000 depending on the complexity of the design, the material used and the finish (you can customise this to the T!). What we loved most is that their products are focussed on maintaining form and function, so you'll find fun pieces you didn't know you wanted (but secretly always wished for). We spotted wooden sofa holders to hold your coffee and breakfast plate (for the Sunday lie-ins!) and integrated sofa units - complete with plug points and a foldable table that you can put away once you're done with work (perfect for days when you're working from home). Apart from original designs, Wood & Watt also does transformations of vintage furniture and gives them new forms. What's more, they'll even restore your antique furniture for you.